Operate without interfering with regular walking motion. Sure Glide brakes provide longer life. 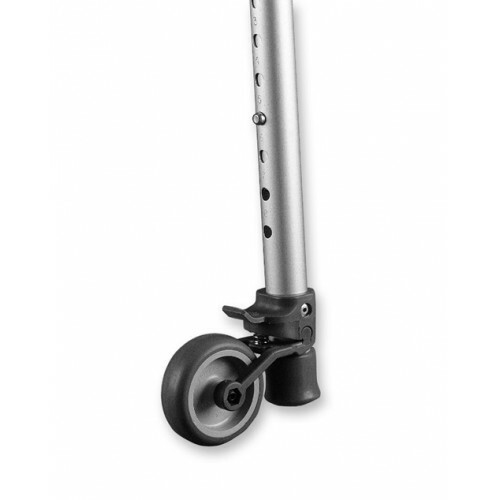 Used with 3"or 5" Single Fixed Wheel attachments. Post is 10". Brake available in cambered wheel or sure glide brake. Pictured with wheel style. 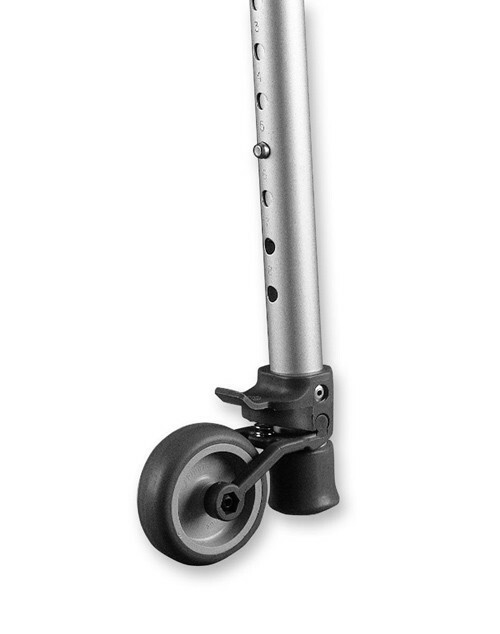 The detail info does NOT say that it will only work with Invacare walkers. I tried for 3 days to return but you have to call and get a return number and address label. Waited on the phone for over a half hour; sent emails to customer service; even called Invacare to inquire and they sent an email to Vitality Medical and it went unanswered !! !